Tonight I was presenting on Windows Azure BizTalk Services (WABS) to the Brisbane Azure User Group, and someone asked me where you configure message tracking. It was one of those embarrassing moments where you know you saw the feature somewhere, but can’t remember exactly where… hence this blog post. Simply select the bridge element, then click the ellipses (…) button next to the Track Properties property to open the (…. you guessed it!….) 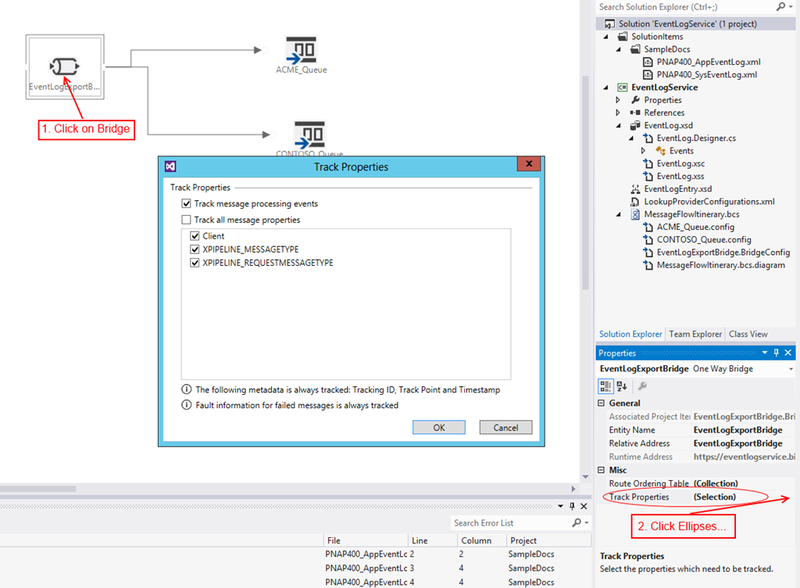 Track Properties dialog box. There you can select any properties that you have promoted in an Enrich stage of the pipeline, as well as the default XPIPELINE_MESSAGETYPE and XPIPELINE_REQUESTMESSAGETYPE properties. 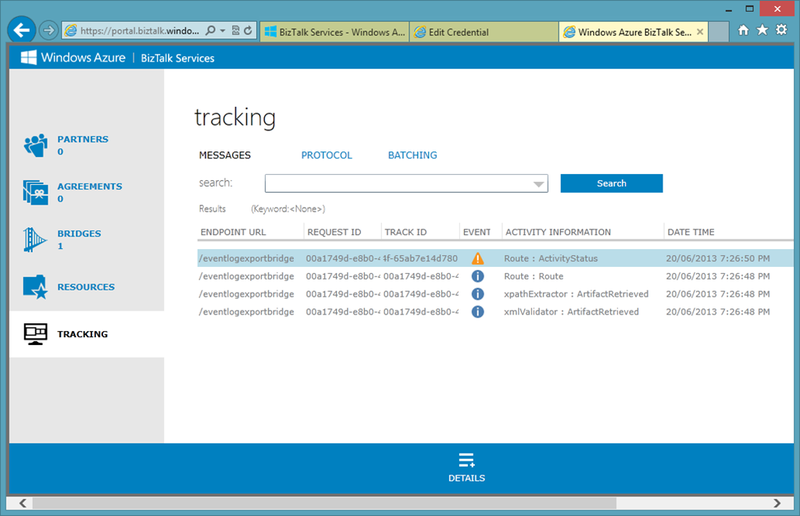 More information about tracking can be found here on MSDN.